YATES CENTER – Opening night of the Yates Center Tournament was not kind to the Altoona-Midway High School boys’ basketball team, as they suffered a 65-21 defeat to the hands of the talented hosts, the Yates Center Wildcats, here Monday night. The Wildcats, ranked 6th in Class 2A in the preseason polls, showed exactly why as they stormed out of the gates and poured in 29 points in the opening quarter of play. They stayed hot in the second period and held a commanding 47-11 lead at intermission. Aaron King led Yates Center with 23 points on the night, garnering most of those in the opening half, when the Wildcats offense did a majority of its damage. Reece Solander and Kobe Forsyth also reached double digits for the Wildcats, netting 11 and 10 points, respectively. Clement Huffman and Dawson Ashmore each tallied six points for Altoona-Midway, while Josh Meigs scored five and Caden Carter added four. No other Jet reached the scoring column. On the positive side for AMHS, Logan saw improvement on the glass from their opening game. 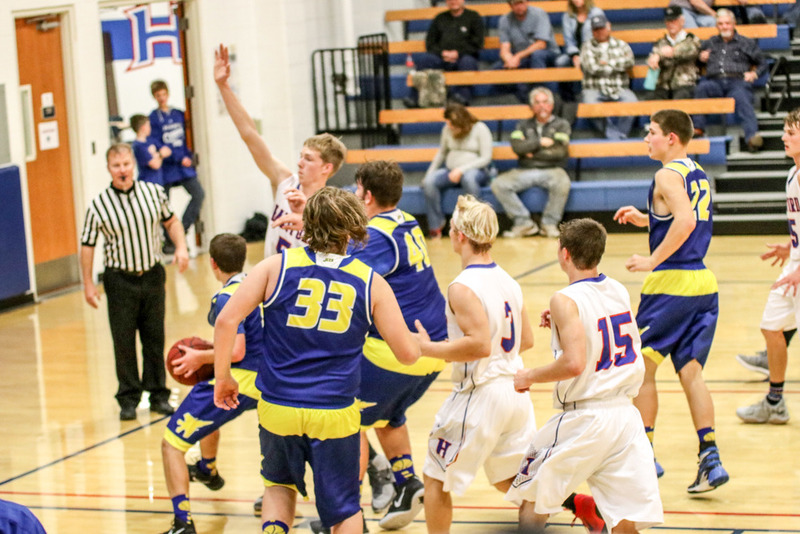 The Jets will face Sedan (ranked 7th in 2A) in the next round of the tournament Dec. 7.